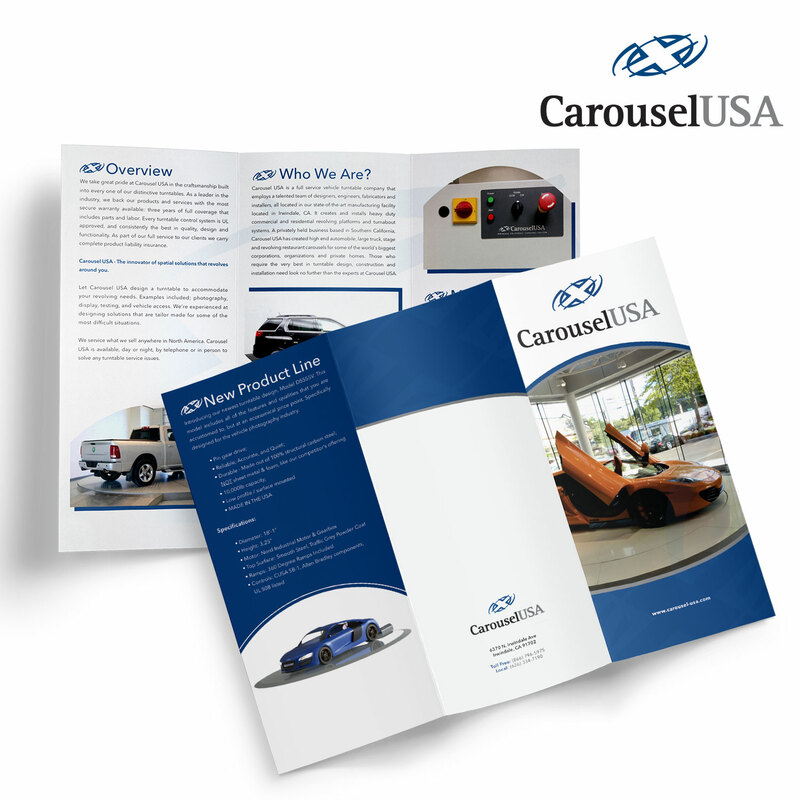 Carousel USA is a full service vehicle turntable company that employs a talented team of designers, engineers, and installers. Carousel USA creates and installs heavy duty commercial and residential revolving platforms and turnabout systems. Located in Los Angeles, California, the company has constructed state-of-the-art automobile, large truck, stage and restaurant carousels for some of the world’s largest corporations, organizations and private homes. The client had a short timeline for the trifold brochure for an upcoming trade show they are attending. Content and images were ready for use, but the client needed a company to help with design and print. Ready Artwork was inquired to take on the challenge while meeting the client’s slim deadline. Our project coordinator and graphic team worked tirelessly to meet the design requirements, along with the mandatory deadline for print. We kept the look and feel within the blue and white colors to match their logo and branding as well, so that it does not feel like a brand new company.